ha! better start planning early! as nearly every year for the last 8 years, jc and myself will be taking a TWIKE further afield for around 8-9 days. we’ve decided on a general direction and now we’re dealing with visa regulations, vehicle insurance issues and other practical questions. 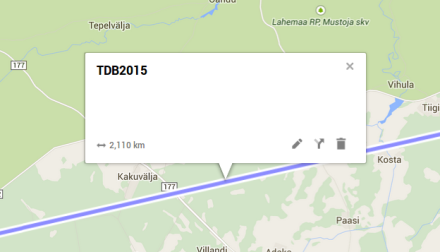 TDB2015 will take us further afield than any other trip except the one across india. detailed planning of our route will start in february. i’ll be posting updates on our planning when appropriate – at least we’ve got our good old countdown going again and, and looking at it now, it’s only 150 days until we’re on the road again. looking forward to it! if you’ve not been following our electric motoring adventures until now – why not start with our most recent one: TDM2014? feedback, ideas, comments: let us know! scroll down to end of page to jump to next entry.